Join us for a tour of The Palms on Main in downtown Columbia, SC at the corner of Main Street and Lady Street. 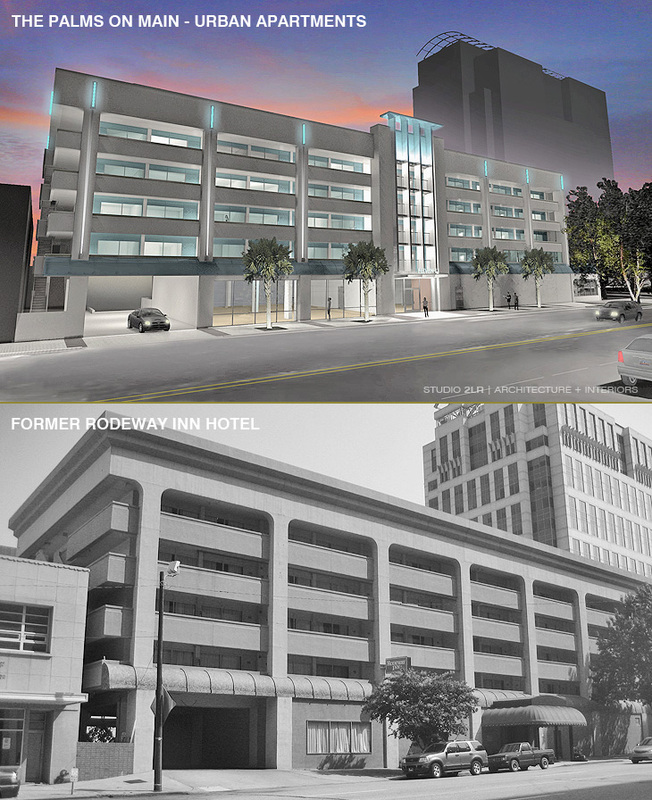 The former Governor’s House hotel (and most recently a Roadway Inn) has been converted into a 54-unit urban apartment building with future restaurant and retail space on the ground floor. The project architects will be available to discuss the project. Lunch is on your own after the tour…hey, you’re on Main St. with restaurants nearby! Please RSVP to Tripp Riley by 5pm Tuesday, May 29 if you plan on attending – triley@studio2lr.com. We do encourage walking (if you’re close enough…and the weather cooperates) and carpooling, as only street parking is available.